I created Flower Arrangement Ideas to share my flower journey and help those who want to start their own flower business. I love the creative process of designing with flowers. 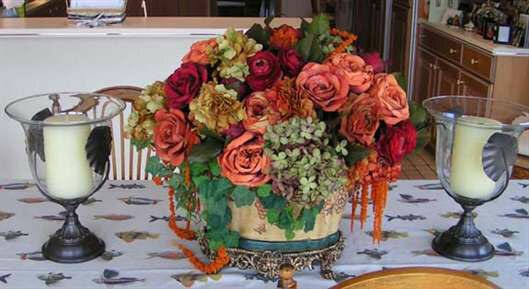 The work of the floral designer challenges your inner creativity and allures those seeking to become one. 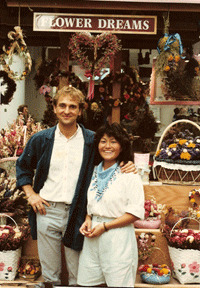 In 1986 I started my first flower venture (Flower Dreams) in Florida USA. The flower mood was "Victorian" and dried flowers were the Floral Vogue. With talented floral designer Keiko Nakamura, we imported dried flowers from Holland and created original dried floral designs. Today I create custom floral arrangements with artificial silk flowers and real preserved fresh flowers. 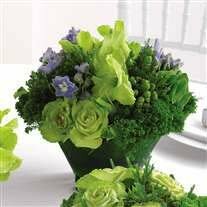 Thanks to Joy's Florist in FT Lauderdale I will share wedding floral arrangement ideas, wedding floral centerpieces ideas and wedding planner resources. The flower business is not easy. If you are considering starting a florist business, I wrote on the subject including my favorite florist business guide to purchase. With this maxim in mind, we can appreciate learning of different design styles. From modern flower arrangements ideas to traditional. From the East, the West and Down Under. Even though only a few flower designers will ever achieve a world wide fame, there are master designers within our midst. In every town there are great floral designers. In my flower journey I marveled at the unique creations I observed. This website is about my 30 year flower journey. Here is where I share my flower arrangement ideas, resources, wisdom and mistakes while building a business. The Flower market has gone through drastic changes. In today's economic crisis, only the few and the smart will survive. I hope you find my tips valuable. If you are considering starting a floral business please read starting a flower business guide to prevent you costly mistakes when purchasing or starting a floral business. If you are considering buying a florist business in South Florida, or if you have one for sale, please contact me. Your questions are welcome and help is one e-mail away. South Florida is the main importing center for flowers coming from South and Central America. After clearing customs, they are then redirected via truck or via plane to wholesalers and retail shops. To learn how to keep fresh cut roses longer check my rose guide. You can discover about roses and their meaning. Or have fun with roses are red poems. For taking care of your plant I prepared a lucky bamboo guide. 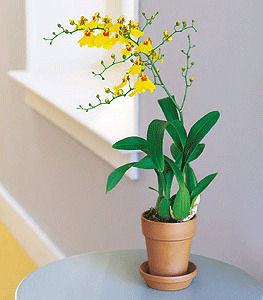 I can obtain fresh cut orchids from Holland and potted orchids grown in South Florida. Cymbidium, Vanda, Oncidium, Dendrobium, and more. I love to mix silk flowers with real preserved botanical. Most people have hard time to distinguish fresh from artificial or preserved. 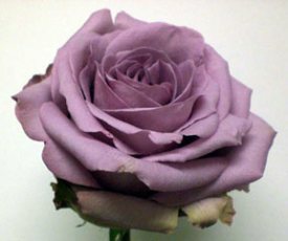 Wholesale and products silk flower guide. Artificial Bamboo Trees and more. I can obtain artificial bamboo trees and many other varieties. Some trees have natural trunks, others are man made. Prices depend on height and number of leaves. My associates and I have installed artificial trees and designed custom artificial flowers for various Restaurants, Hotels, Offices, Country Clubs, Yachts and Private Homes in the South Florida Community. Most trees can be shipped all over the USA, and I can give quotes for your specific requirements. To find availability of other trees and plants please visit: Artificial Bamboo Trees. If I can assist you please Contact Me. Flower fairy inside jeweled gourd.